For an unknown, unpublished author, the chances of finding a Literary Agent or Publisher prepared to assess a new manuscript are slightly less than winning the National Lottery. Most will simply reject a manuscript which they view as not suitable with a standard Rejection Letter. Any long-established author will usually have enough of these to paper a wall! Of course, there are any number of so-called Book Doctors or Freelance Editors who are frequently unpublished authors themselves, and who cruise the internet writers forums looking for ways to supplement their income. Assessing a manuscript for publication readiness is a highly skilled job and one is unlikely to trip over somebody capable and professional by happy chance. The good ones are far too busy to be chattering on internet forums. After many years of having to turn down authors who have requested manuscript assessments from us, we have now found a way to be able to help. Our Free Manuscript Assessment Service offers a simple but invaluable précis of your manuscript and guidance as to ways to improve it. More details here. However, for those authors who would like a more In-Depth Assessment, we are now able to offer a new service which includes a detailed report on structure, plot overview, grammar and suggestions as to the level of editing required, if any. In addition, your manuscript will be assessed by an Industry Marketing Professional who will give guidance as to your choice of Title, Strapline, Back of Book Description and an overview as to the general marketability of your book. Submitting your book for Assessment carries no commitment to publish with us and we will even supply you with a template letter for you to use when approaching agents or other publishers. 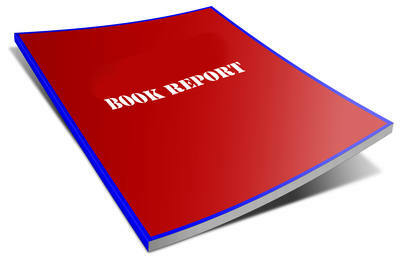 Equally, of course, we offer no guarantees that we will accept your book for publication after the assessment. This is a totally separate service to our usual submission process. We do not promise to give you the glowing report you might get from your mum or a promise to publish your book, but you will receive an honest appraisal and clear guidance on ways to improve it. An overview of the structure of the book. A detailed assessment of the level of editing required. An assessment of the title and strapline for your book. An assessment of the market potential of your book. Suggestions, if needed, for improving the market potential. A Template Approach letter for you to use to solicit agents or publishers. Give your book the best possible chance to be the best book it can become for only £525. To request your In Depth Manuscript Assessment, simply upload it using the form below. Should we accept your manuscript for a full appraisal, we will invoice you later. If for whatever reason, we feel unable to offer you an assessment there will, of course, be no fee.